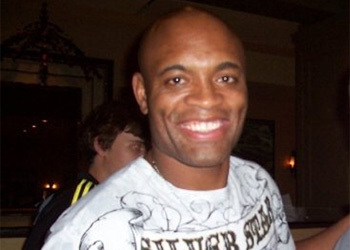 Despite prior claims and previous flirtations with fighting outside of his middleweight division, Anderson Silva stated during Tuesday’s UFC 117 conference call that he’s currently the champion of the class he wants to retire in. Sorry Simba, but it looks like this king is here to stay. “The Spider” owns a dominant 26-4 professional record and is perfect through his 11 lopsided Octagon scraps, including two light heavyweight highlight reels. MMA’s nastiest 185-pounder has looked borderline bored in his last three title defenses, much to the dismay of UFC president Dana White. The brash promoter has threatened to serve the Brazilian his walking papers if his F-game ever reemerged. Although the sport’s most efficient gunslinger hasn’t provided devastating finishes in his last few title defenses, it isn’t due to his lack of respect for the competition. In fact, the Brazilian chalks it all up to a good ‘ol case of the misunderstandings – so, please save your boos for a rainy day. Despite the heat he’s received for not showcasing his scintillating skills, it’s undeniable that he’s steamrolled everyone that has crossed his path within the last four years. He’s clearly the baddest mofo alive, but that’s on display strictly at his discretion. Silva puts his title on the line August 7th against bitter rival Chael Sonnen, who has quickly emerged as the sport’s best antagonist. While the challenger has done everything in his power to rattle the king’s cage, the rest of the division may be wishing he let this sleeping dog lie.